Portugal, Eastern Europe (please consult for countries), Israel. 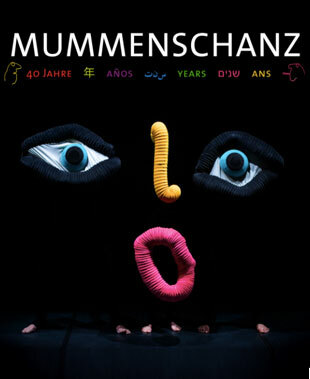 In 2012, the Company celebrated 40 years since the founding of the legendary MUMMENSCHANZ - an important anniversary which the ensemble has celebrated with its audiences all over the world. The jubilee tour started in Zurich, Switzerland, at Theater 11 on October 4th, 2011. The witty ideas of the group, founded in Paris in 1972 by Andres Bossard, Floriana Frassetto and Bernie Schürch, have been carrying away audiences all over the world. So much so that MUMMENSCHANZ has come to mean far more than a name. The work of the group has become a form of art which has put its mark on the Mime-Masque Theater, and impressed many generations of audiences. Showgoers of all ages and cultures witness weird timeless creatures and incredible colorful forms which completely enchant them year after year. Today MUMMENSCHANZ denotes far more than a name. 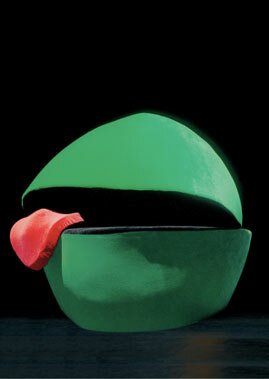 MUMMENSCHANZ has become a myth - a myth which both lives and keeps cloaked in mystery. 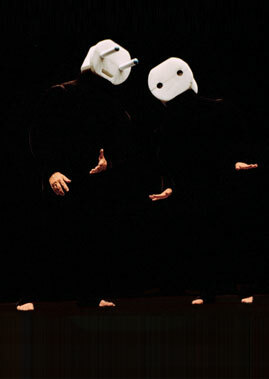 MUMMENSCHANZ at once solemnly tackles everyday's problems and make us laugh of an unbroken laugh. Tomorrow is right now - so, follow the Musicians of Silence, the Musiciens du silence, the Virtuosen der Stille, on the company website, and ..."Enjoy the Show!" "Mummenschanz is dedicated to theater without words or music, but theater is fundamentally drama and there’s plenty of drama, and laughter, and beauty"
"Would recommend anyone with a child or who is a child at heart to catch at least one show." "Wheter you are 8 or 80, Mummenschanz is a night to remember."